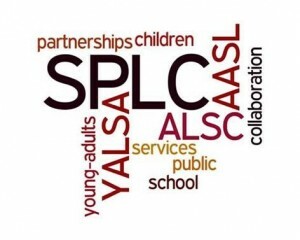 The AASL/ALSC/YALSA Interdivisional Committee on School/Public Library Cooperation (SPLC) is pleased to announce the publication of the Public Library & School Library Collaboration Toolkit. This toolkit is the result of a three-year collaborative effort with members of AASL, ALSC and YALSA. It is a collection of information, research, and examples that will help facilitate and incorporate collaborative initiatives between public and school libraries. The Public Library & School Library Collaboration Toolkit is organized into five chapters, and includes helpful links for additional examples or information. The Institute of Museum and Library Services (IMLS) has been an essential resource for libraries and library schools since its inception over two decades ago. According to its mission statement, this agency works “to advance, support, and empower America’s museums, libraries, and related organizations through grant-making, research, and policy development.” On the ground, the work supported by the IMLS takes the form of anything from STEAM programming to data-rich research projects. “Transforming Communities,” the recently published 2018-2022 IMLS Strategic Plan, reviews specific successes and focuses on broader strategies to lead us into the next few years. Certain aspects of the plan—approaches to learning and literacy, library engagement statistics, and serving the under-served—might be of particular interest to library staff who work with youth. The Boston Public Library (BPL) has had a partnership with the Department of Youth Services (DYS) since 2010. DYS is the state agency that serves teens who are incarcerated and there are two locations in the Metro Boston region that houses up to 90 young men in seven different units. DYS doesn’t have a formal library and for the past seven years each month two BPL Teen Librarians visit each of the units and provides library services by providing books-those books are booktalked to engage the teens and teens may also make specific requests. Each month approximately 70 books from BPL are checked out along with upwards of 30 of those that are specific requests. January 2018 marks the expansion of this program and brings technology into DYS provided by the public library as a pilot program. There are significant limitations for teens in DYS especially with technology and this type of program isn’t routine in most juvenile detention settings. Twelve Kindles were purchased with up to 40 popular titles downloaded on each. The titles are recreational and popular in nature and many of the titles are only available in hardcover. Two units were designated as sites for this pilot year. Every other month one Teen Librarian goes to the two units and meets with the teens and talks about the books, some methods of accessing books and teaches tips in digital literacy with the Kindles. The teens have access to the Kindles in their classrooms every day and as this is a pilot program input from them is crucial as are new titles to add on the Kindles. The program has an MOU (memorandum of understanding) and responsibilities are expected from both organization such as keeping statistics of usage, surveying the teens usability and likability of the titles and the Kindles themselves. The hope is after the pilot year the program can expand into other units as well as expanding the program itself to incorporate the existing applications on the Kindles like Kahn Academy into exposing teens to these applications. The existing BPL lending program gives teens a freedom of choice with their ability to choose the books they want to read, this program gives them even more of a choice by having multiple titles on one device that the teens can access as well as informally teaching them digital literacy. 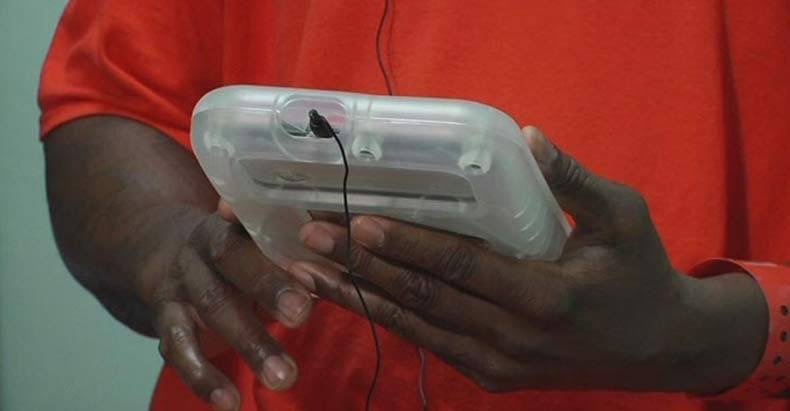 Programs like this with technology aren’t something that a lot of public libraries are doing with juvenile justice systems in the United States. This is a pilot program and as such will be evaluated to see the success of the program. One of the expectations of the program is sharing out about the program, input from the Boston Public Library Teen Librarians, teens that utilize the program and staff at Department of Youth Services. Stay tuned for more YALSA Blog posts on this innovative program. The YALSA Presidential Advisory Taskforce was recently brainstorming librarians that were out there in the trenches, working hard to support youth activism through community engagement. Immediately, I thought back to a presentation at the 2016 YALSA Symposium by Gabbie Barnes and Tricia George from Hartford, CT. Their presentation was called From Socializing to Social Justice: Connecting teens to community through social narratives. They tackle youth activism head on in numerous ways, but the Woke Teen Forum in particular was truly inspiring. Their passion for teens and youth activism was evident throughout their presentation and interviewing Gabbie Barnes over a year after their presentation shows that their programs are still going strong. Tap into their passion and find some inspiration for ways to promote youth activism at your library. Izabel: Tell us about the youth activism programs that you have started at YOUmedia Hartford. Gabbie: YOUmedia Hartford at the Hartford Public Library is a digital learning and makerspace for teens ages 13-19. We are only open to teens during our service hours, which makes our operations work a little bit different than traditional libraries without dedicated teen spaces. We also average upwards of 85 youth per day, which, as you can imagine, makes 1:1 connections slightly more challenging. To engage as many youth as possible, we use multiple entry points for program development. As a result, youth activism at the library happens in many different ways. Short-term internships for youth to build proposals around issues they’re passionate about. artistic workshops focused on messages of liberation. We also work with a lot of community partners. I’m lucky to be friends with organizers in the community who want to engage youth, specifically. There is a vetting process for who does and does not work with our youth, but ultimately we create space for folks to work with the teens at the library if it’s mutually beneficial. Right now, we have an organizer who does one-on-ones with youth to find out what they’re passionate about and then organically offers gathering times to meet other teens who are similarly passionate. The end goal is a campaign, but the groundwork is starting with each conversation. There is also a lot of grassroots work happening that I don’t know about–relationships being formed, meetings being had, and events being planned. 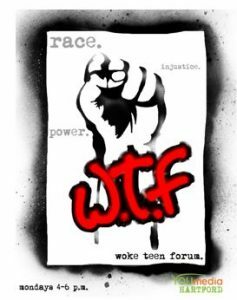 I: What inspired you to start the Woke Teen Forum, specifically? G: We were in one of the most verbally abusive political campaign years of my adult life. The teens were always buzzing about it, and it felt like every day there was some new, horrible thing that they needed to unpack when they came to the library. As someone who stitched together a lot of what I know about systemic oppression in this country through self-guided learning, I felt like I could build a crash course for young people. My goal was to provide an entry point into what is—by design—a much more complex and complicated web than many of us realize. We talked about the intersections of race with housing, education, incarceration, voting, gender, food, and drug reform. I: What is the most challenging part of pursuing these programs? G: Scheduling. Even the most engaged teens struggled to make it to every meeting. Young folks are stretched so thin trying to build their resumes for college, be involved in their communities, and still maintain very active social lives. Finding a schedule that worked for everyone was just impossible. To boot, many of the teens I speak to wish that the library was open during their more “alert hours” which for many is in the middle of the night, but it made me ask myself just how effective we can be when we’re competing with after-school extracurriculars, sports, homework? In a perfect world, the public library would be open 24-hours to accommodate all of the schedules in our communities. I: What was the reaction from your library administration? G: We’re lucky to have an administration that is supportive of our ideas and believes that we were hired because we embed ourselves in what our community wants. I was most concerned about the acronym, but that was an easier sell than I expected. G: Teens were on board from the beginning. They helped me determine what the topics were going to be; I didn’t want to build something for them without their input. After we finished the curriculum, two of the teens ended up organizing a youth-led design-thinking conference on educational equity. It was one of the most inspiring and awe-inducing moments of my career. I: How about the community at large? G: The community was so supportive. I had a few folks from various community organizations reach out to see if I wanted them to host one of the sessions related to their organization’s mission or personal area of expertise. Ultimately, I ended up leading all of the workshops, because of scheduling, but I’m going to try to make partnerships happen in WTF 2.0! Youth are already doing activism work whether you know it or not. Rather than try to make something for them, figure out how to support what they’re already doing. Have conversations, create space, offer resources, make connections. I: If you could share one piece of advice for librarians seeking to promote youth activism at their library, what would it be? G: Youth are already doing activism work whether you know it or not. Rather than try to make something for them, figure out how to support what they’re already doing. Have conversations, create space, offer resources, make connections. Leverage your “power” as an adult to provide opportunities for youth to have a seat at the table in spaces they otherwise would not be included. Activism is grounded in history, pain, and hard work. Many people have been doing this work long before it became a library buzzword, and many will continue to do the work long after it fizzles out. I: Do you have any final words for our readers? G: I fear that when we talk about activism and social justice in libraries that we’re buzzing in the way that we did with 3D printing and maker spaces—or whatever the next hot trend is. Activism is grounded in history, pain, and hard work. Many people have been doing this work long before it became a library buzzword, and many will continue to do the work long after it fizzles out. Of course, too, I have to shout out my library elders: Spencer Shaw for promoting multiculturalism in libraries and their services and paving the way for black librarians in Hartford; Audre Lorde for being a womanist, anti-racist advocate, writer, and best of all, librarian; Margaret Edwards for advocating for youth and teens in the public library; EJ Josey for founding the Black Caucus of the American Library Association, and Ruth Brown for standing up for racial equality at the expense of her career. Gabbie Barnes is a Black, multicultural-dreamer living, working, surviving, and thriving in the Hartbeat: Hartford, CT. She is an auntie, soul sister, daughter, cat mother, mentor, librarian, consultant, mentee, and cinefile. She offers spiritual advising, tarot readings, and essential oil advice. Gabbie received her MLIS during a short, 4-year stint exploring life as a Pacific Northwesterner. She has institutional experience in academic, special, and public libraries. Find her on LinkedIn @hartfordlibraryninja or send her an email gbarnes@hplct.org. Izabel Gronski is the young adult librarian at the Oak Lawn Public Library. She has experience founding and leading multicultural student groups at Northwestern University, including the International Students Association and the Polish American Student Alliance. She is passionate about expanding teens’ horizons by offering intercultural experiences and opportunities for community engagement. Follow her on twitter @izag or send her an email at igronski@olpl.org. The Los Angeles Unified School District (LAUSD) and the Los Angeles Public Library system (LAPL) have created a system-wide collaborative effort similar to those discussed in the now completed Public Library & School Library Collaboration Toolkit (.pdf). The toolkit was published earlier this month by the AASL/ALSC/YALSA School and Public Library Cooperation Committee. There are three System-wide Initiatives found in other parts of the nation described in the toolkit, but Los Angeles has cooperated in a way that is different, yet (you can view the other System-wide Initiatives and many other programs that will fit any public or school district on ALSC’s web site). For over a year I’ve been thinking a lot about libraries and social emotional learning (SEL). In part because many school systems are developing curriculum (or integrating SEL into curriculum), in part because it’s something that library activities support – even if library staff don’t think of what they do in that way, and in part because the new Teen Services Competencies of Library Staff include Dispositions and Content Areas that strongly connect to SEL. Think about that. Wouldn’t you say. that in order for youth to gain SEL skills they need adults in their lives who help them to “learn about and manage their own emotions and interactions in ways that benefit themselves and others, and that help children and youth succeed in schooling, the workplace, relationships, and citizenship?” These adults include library staff and teachers along with family members, caregivers, community members and so on. School librarian Patricia and public librarian Emily’s partnership began when Emily reached out about visiting the Sunnyslope campus to discuss what the Desert Sage Branch had to offer SHS students. Patricia was thrilled because she had been meaning to do exactly the same thing. After their initial meeting, Patricia arranged for Emily and a colleague to visit SHS’s library during lunch periods, helping students sign up for PPL library cards when they are most frequently in and out of the media center. The visits offered a low-key way for the collaborators to get to know one another better. They chatted during the set-up, the time between lunches, and during the tear-down as well. The collaborators learned they had a great deal in common. Patricia showed Emily some typical SHS library programming, sparking the idea of having Patricia bring that programming to the Cholla Branch. A month later, Patricia boxed up her FebROARary activities and headed to Emily’s PPL branch. Participants in the joint program made dinosaur buttons, colored dinosaur bookmarks, and applied dinosaur tattoos. While the PPL teens were not as excited to participate as SHS students usually are, parents with their younger children stopped in and got involved. Patricia was able to work with a different audience, which was truly fun for her. Cohort members are gaining community engagement skills through projects that require them to learn about the work going on in their communities, identify gaps when it comes to middle school youth, and setting up listening meetings (in which the staff listen to a potential partner instead of telling what the library can do). 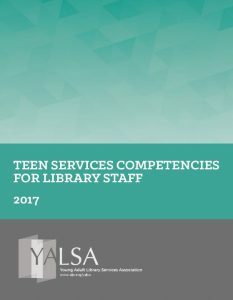 As you read the Teen Services Competencies for Library Staff you may think to yourself, there are some things that I want to learn. Or, there are some areas that I want to get better at. One way to get started with that learning is with YALSA’s Snack Breaks. These videos, published monthly, are between 3 and 15 minutes long (well there might be a couple that are a bit longer) and cover a range of topics related to the new Competencies. Check out the Snack Break on Restorative Approaches to Behavior Management in Libraries.